Melk-Man hit triple in bottom of ninth to complete cycle. 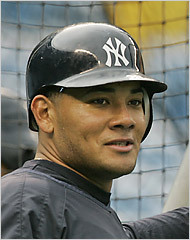 Melky has been so consistent and helpful to the Yankees this year. 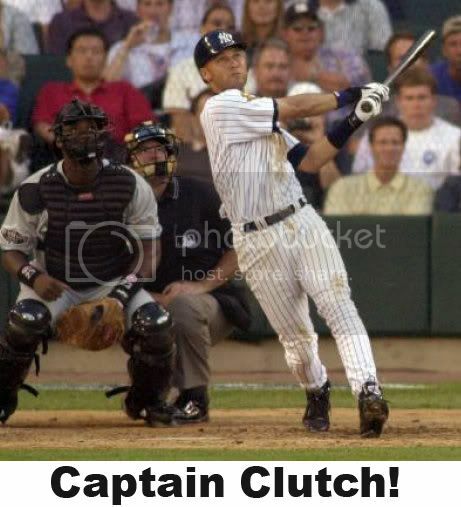 He plays spectacular defense and has so many walk-offs we should name him Captain Clutch. Sorry Derek but we are officially dethroning you for some…. What happened Big Man? Luckily though, Mark Buehrle did even worse and he was pounded for 7 runs and 12 hits by the Yankees. Ouch. The Yankees sure beat up on poor Buehrle. When I say poor I mean the guy with a no-no and a perfecto so I’ll say GO YANKS!!! Today the Yanks face the Doc of baseball, Mr.Halladay himself. Hopefully we can put the type of hurting we did on Buehrle, on the Doc. Today the Rays beat the Royals and Zack Grienke 10-4 and say-hey Willie! Aybar was working his magic today hitting 2 homers, one as a lefty and one as a righty. Kaz pitched a great game as well.